This AVR Tutorial guides step by step to the first running C programm on your AVR microcontroller. It's not difficult to make a program running on an AVR microcontroller. 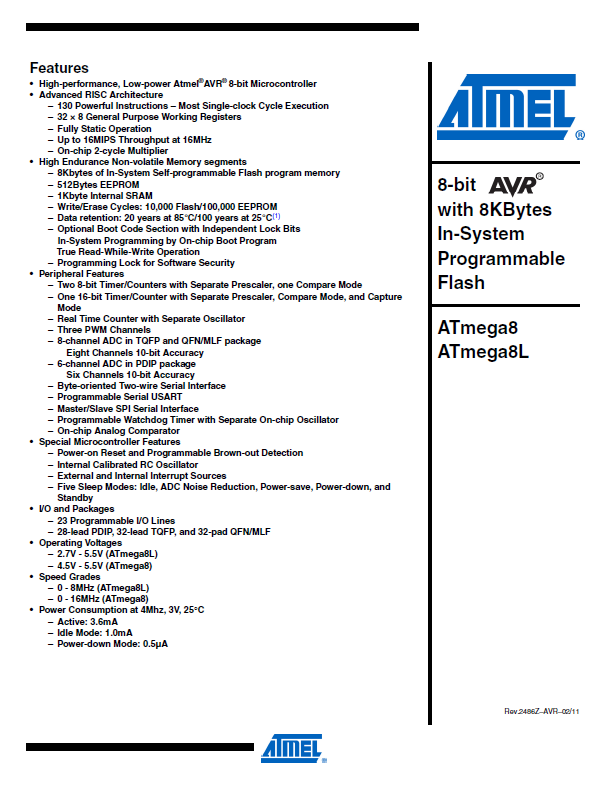 If you have all the needed equipment ready, it is possible to learn how to work with an ATmega8 within one evening. 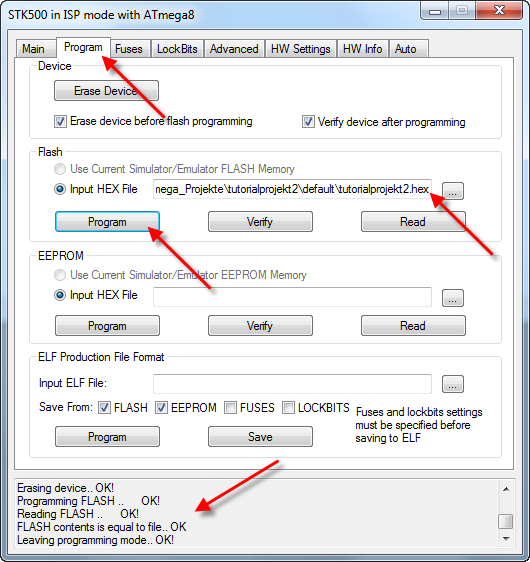 This tutorial guides you step by step to find the shortest way to your first working program. We start with the required hardware. 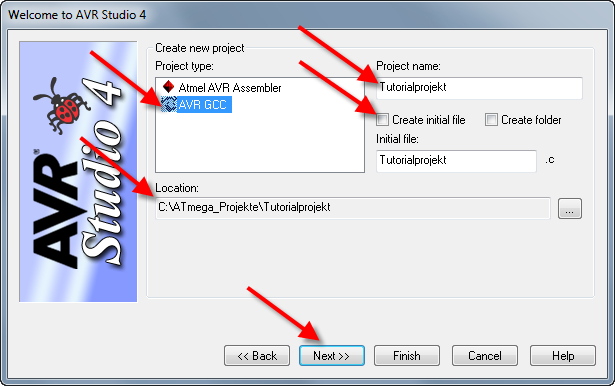 Then we install the AVR studio and the AVR GCC compiler (both are free). 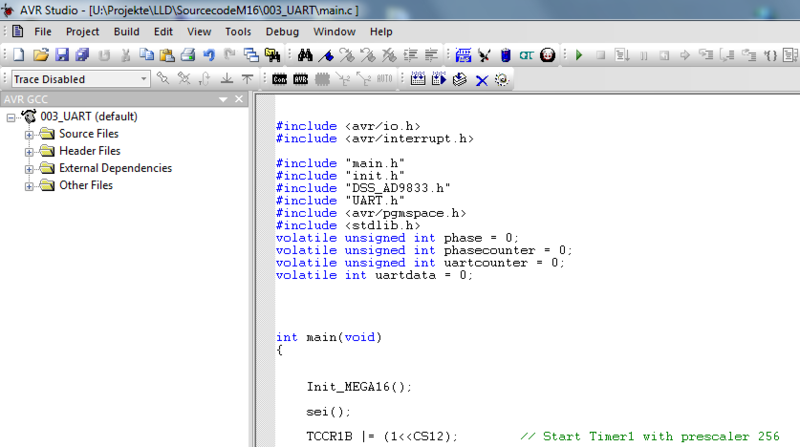 Then, after getting the most important datasheets, we write our first little program and make it running on an ATmega8. Click on the picture in this tutorial to watch them larger in a popup window. Of course we need a computer to program our AVR. It doesn't have to be a powerful machine. Personally, I use an old portable computer with Windows XP. 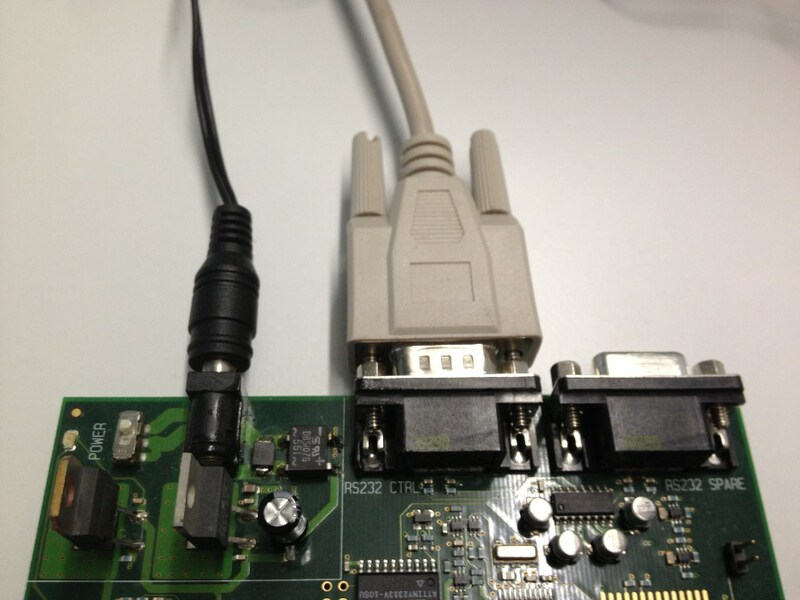 If your machine has a serial port it makes your life a little easier because you don't need an USB to serial adapter. 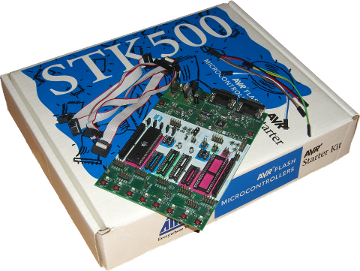 The STK500 developmentboard which we use in this tutorial, requires a computer with serial interface or a USB to serial adapter. If your computer doesn't have a serial port, you need an USB to serial adapter to load your program on the microcontroller. I've made good experiences with the adapter UC232A manifactured by Aten. 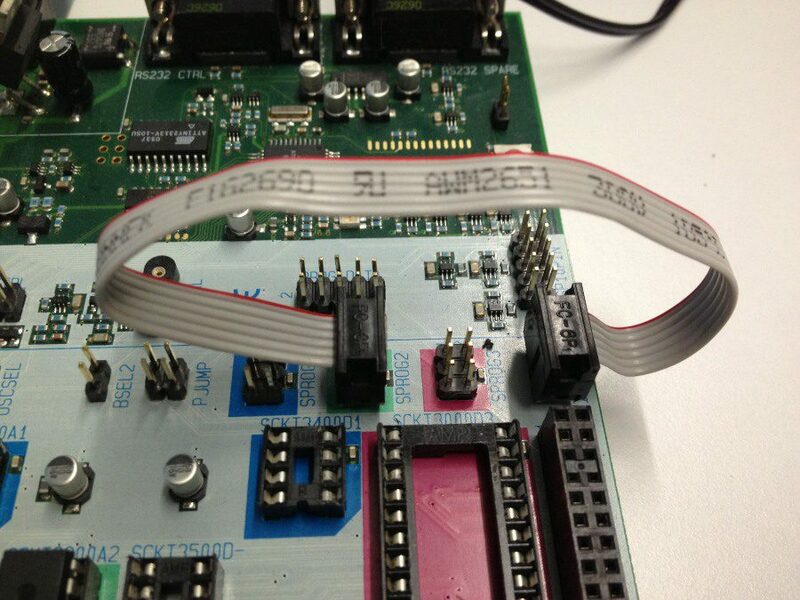 In this tutorial we use the STK500 development board of ATMEL. It's not the cheapest solution but probably the fastest. Because it's made by ATMEL the compatibility to the microcontroller is guaranteed and by using this board, we can be optimistic that we will have no troubles with any kind of wrong wiring or any other possible error sources. A RS232 cable is delivered with the board. Unfortunately, the STK500 is delivered without power adapter. In the delivery scope is only a cable with the DC Connector and two bare ended wires. So you need a 12V power adapter. 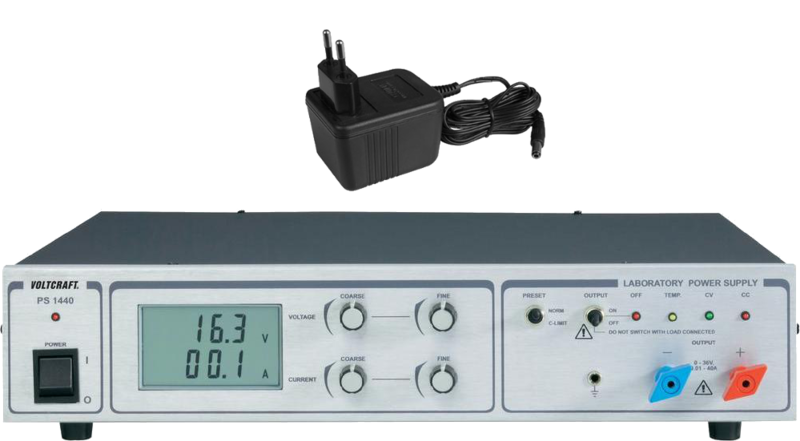 The best solution is of course an adjustable laboratory power supply. 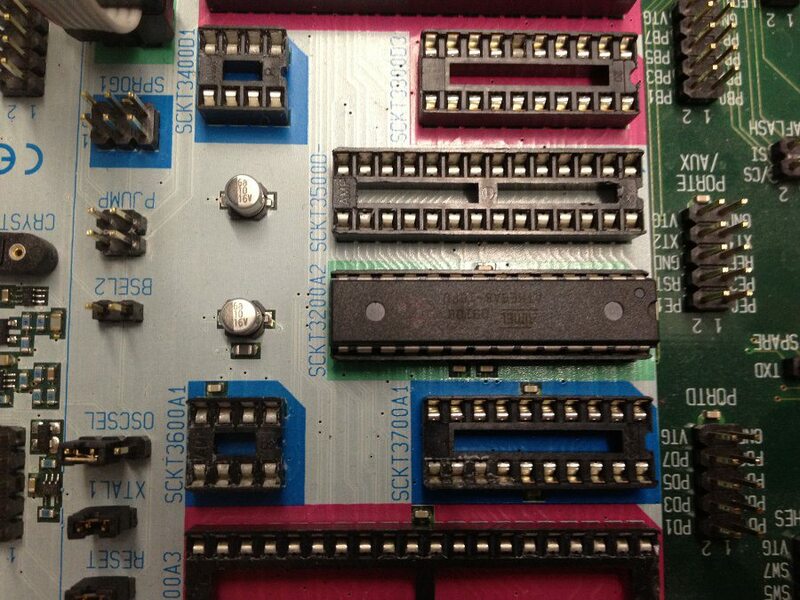 This tutorial is written for working with the ATmega8. Tough it could be written for any other AVR uC. Because there is no "best AVR". Every AVR has its own specific attributes and features. It depends on the application, which type you use. But the ATmega8 is a nice and simple allrounder which can be used for many projects. It contains the basic peripherals and is probably the microcontroller which is most used in hobby electronics. It's always good to having a few spare controllers in your drawer. I recommend to having three to five pieces ready. Because everybody gets to a point somewhen where he wants to check if there is a buc in the code or if the controller has been broken. Version 6 is optimized for the STK-600 board which is much more expensive than STK-500. 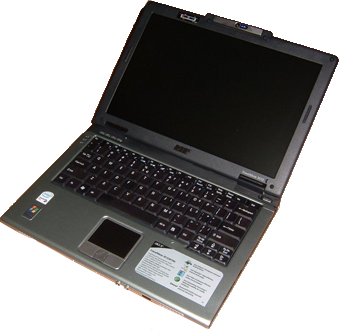 In forums you find many reports of people who had troubles with AVR studio 6 and the STK-500. 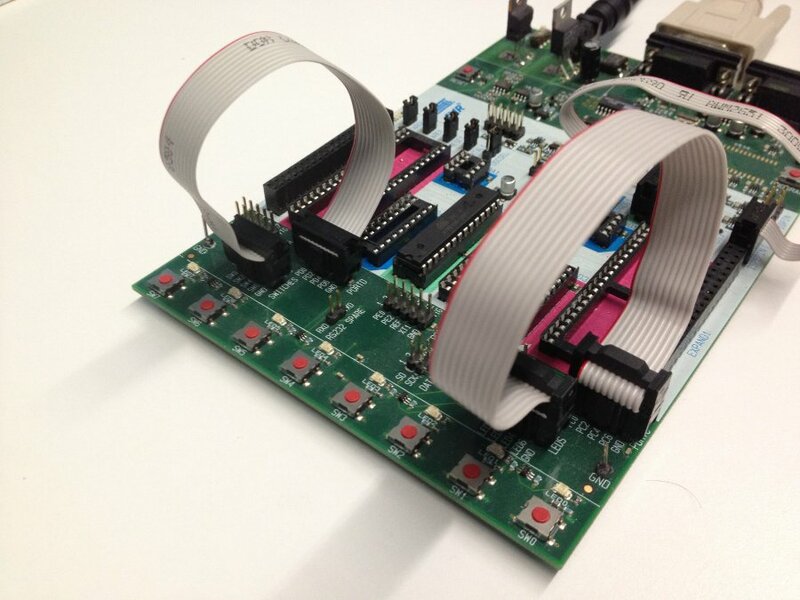 Version 4 gives you everything you need in order to develop software for the ATmega8. Version 6 comes with uncountable buttons and functions, which you don't need. Version 4 is better supported by the ATmega8 internet communities. You will get help and advice much faster. Use the standard settings, when you install the software. 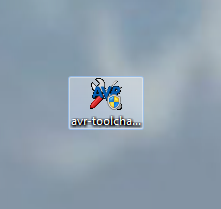 The AVR Toolchain is necessary to compile to c code. 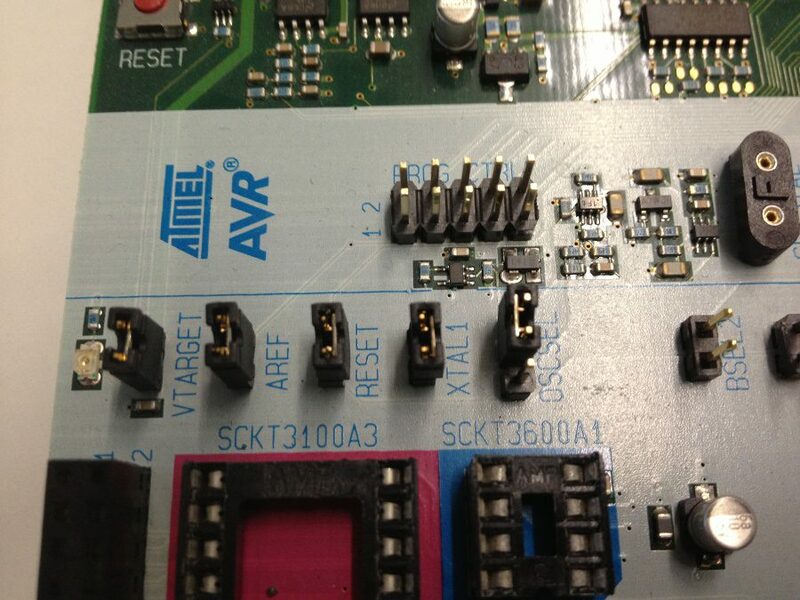 It can be downloaded free from the Atmel website. Use the standard settings for the installation. Enter "ATmega8" at google. The datasheet will usually be the first search match. Or download it form: Atmel. Questions about this AVR Tutorial? Insert the ATmega8 into the socket "SCKT3200A2". 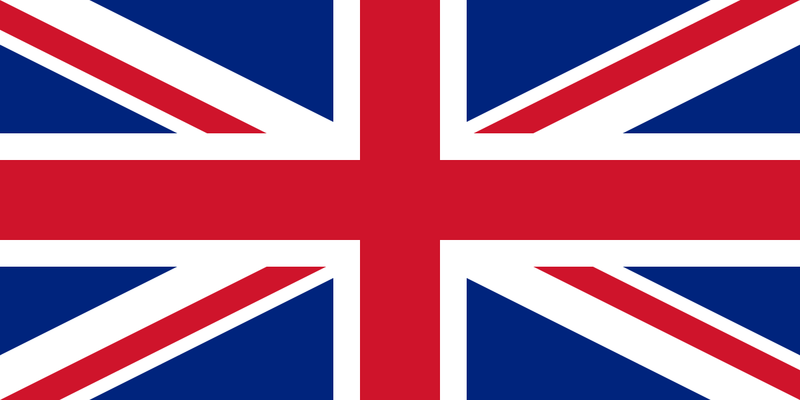 Check right now if you have put it in the right way round! 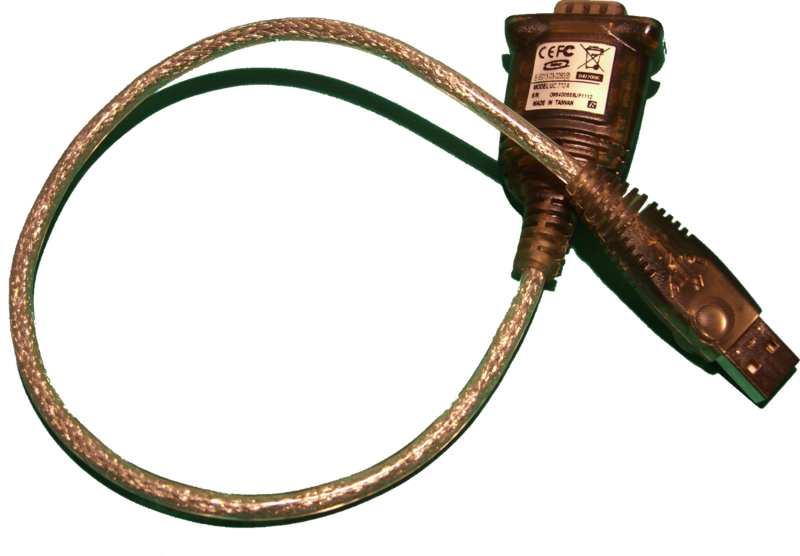 Connect the green socket "SPROG2" and the "ISP6PIN" socket with the 6-pole programmer cable. Take care thet the red wire is at pin 1 on both sockets. according to the picture. Take care that there is no resonator at the "CRYSTAL" socket. 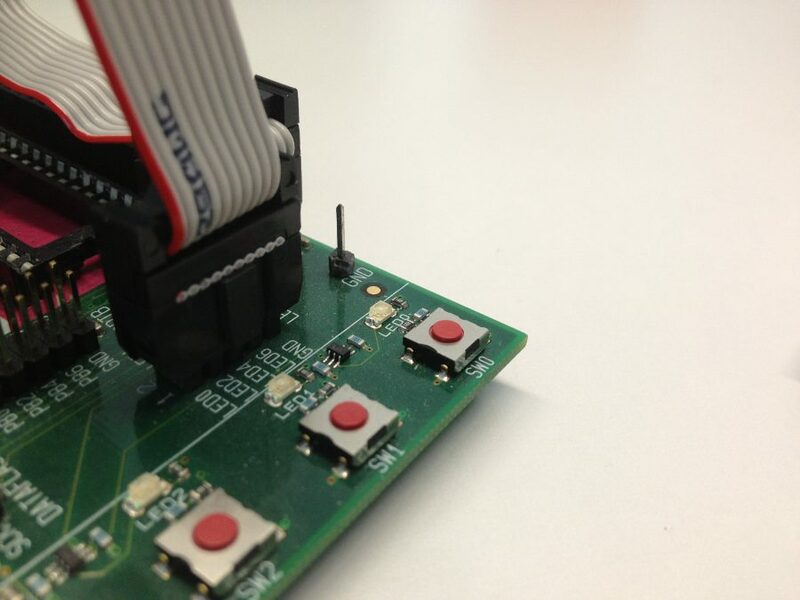 Connect the board with the serial port of your computer. Use the connector "RS232 CTRL" not "RS232 SPARE"
After you run the program, the welcom window appears. To create a new project, you just click on the button New Project . 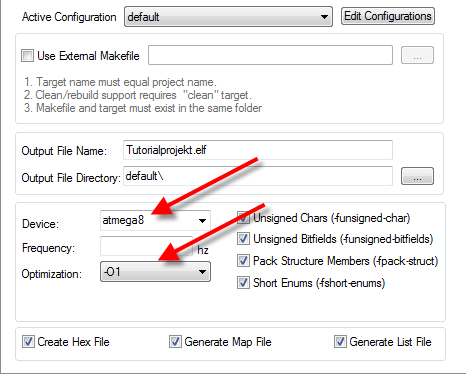 Type your project folder at Location. Select AVR GCC for the Project Type. Enter a Project name on Project Name. Remove the Create initial file tick. The field Initial File. The development environment appears. On the left side you find the project explorer. RMB click on the project name on the top. From the drop down menu you chose Edit Configuration Options. Close the window with Ok.
Schritt 5: Insert C-Code in new C-file. Lets create a new .c-file. Do a RMB click on Source Files. 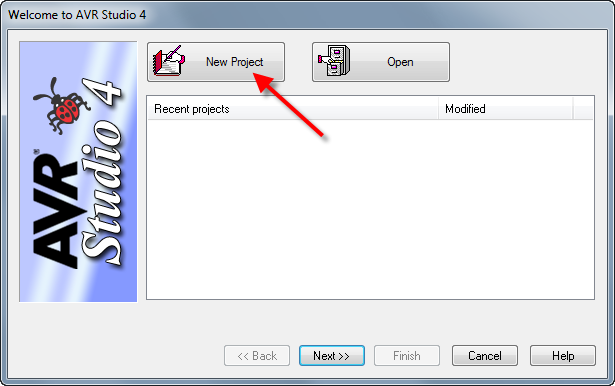 In the appearing dialog click on Create new Source File. 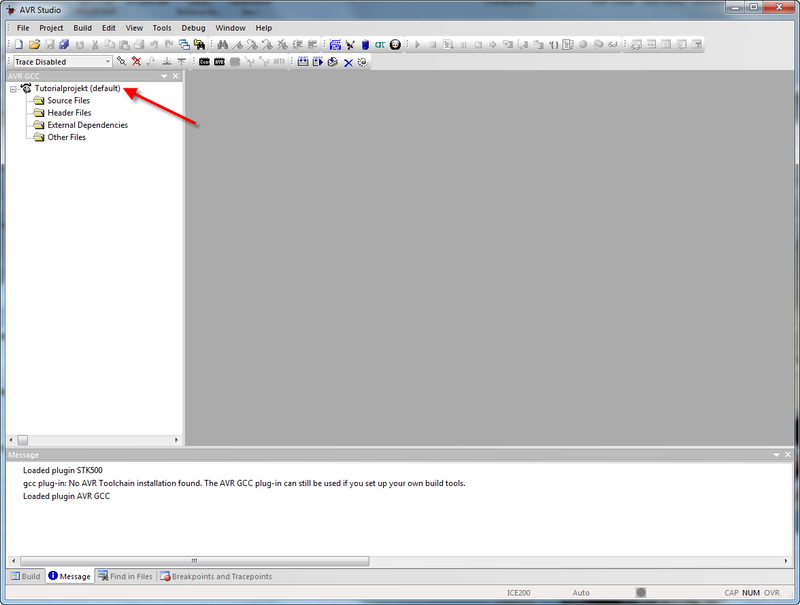 Enter the name of the file in the appearing window. 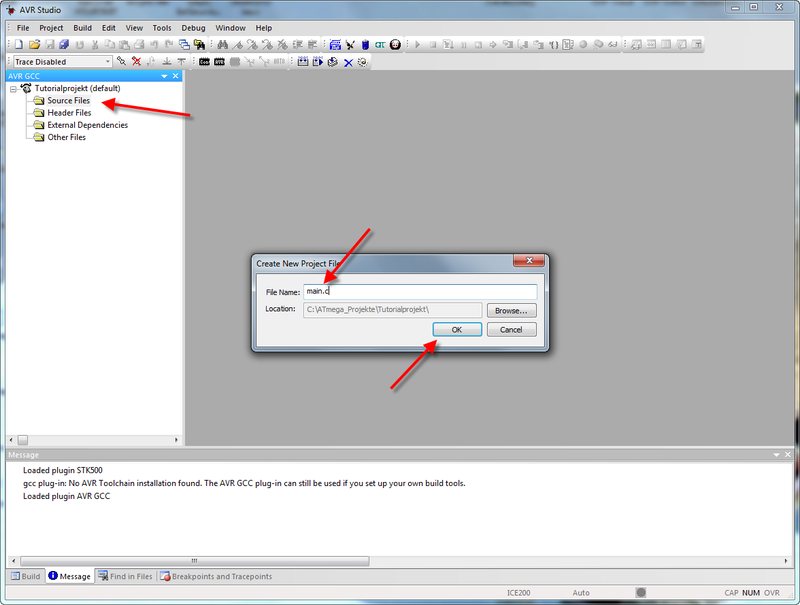 The file with the main() function you should name main.c. Then click on ok. Enter the code from the picture into the file. 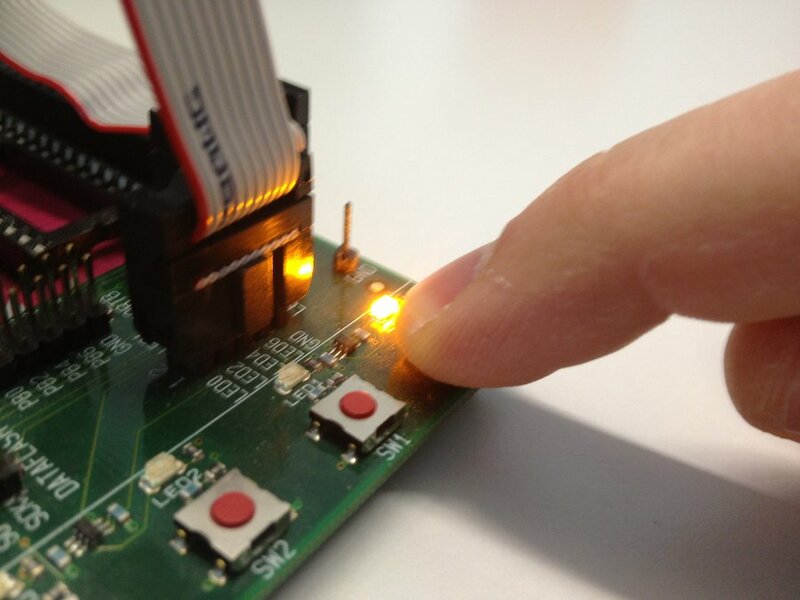 It's our first test program which reads a switch and sets an LED. 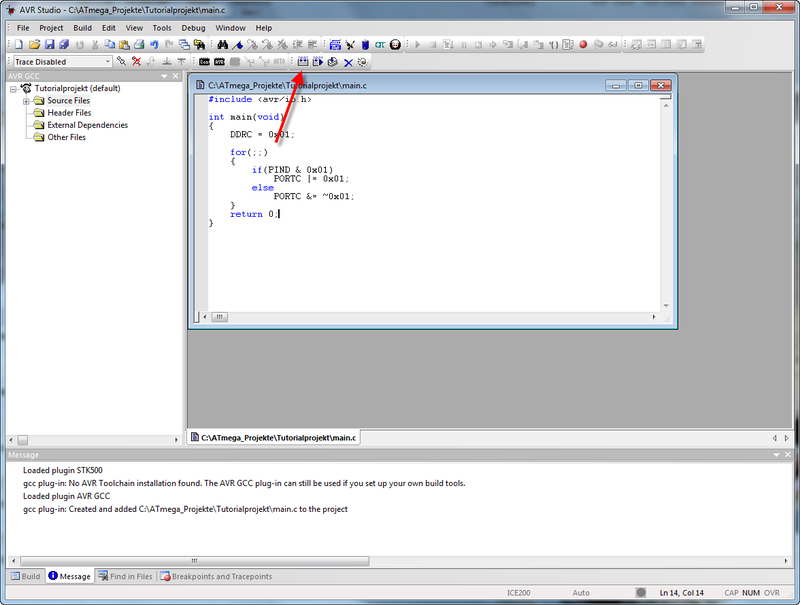 You can also copy the code of the following code window. Then click on Build. Now the program is being compiled. In the report window on the bottom you can see if the compilation was finished successfully. If there was an compiling error, you can click on the line in the report and AVR studio shows you in which code line the error has been found. Step 7: Connect to STK500 and download the code. The Select AVR Programmer dialogue appears. Choose the STK500 as Platform. 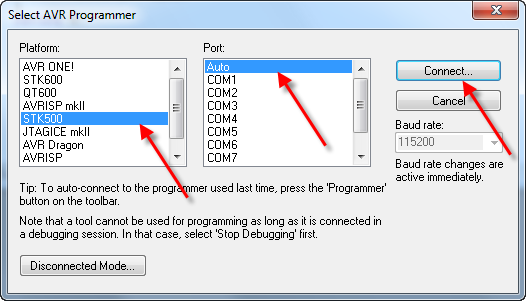 On Port you select "Auto"
As input HEX File you choose the .hex File in you projectfolder default. This was created when you compiled the program. Check if there is an OK on every line of the report. Set all options as shown in the picture. Not, the fuses of the ATmega8 are beeing set. Connect the LED's of the STK500 with Port C and the switches with Port D. Use the two flat cables as shown on the picture. Step 9: Test the program. The program reads the switch SW0 and shows its state on LED0. If the switch is not pressed, the LED stays dark. When you push the button, the LED lights up. Congratulation! You finished the tutorial and your first program is running on the AVR. Was this tutorial heplful for you?